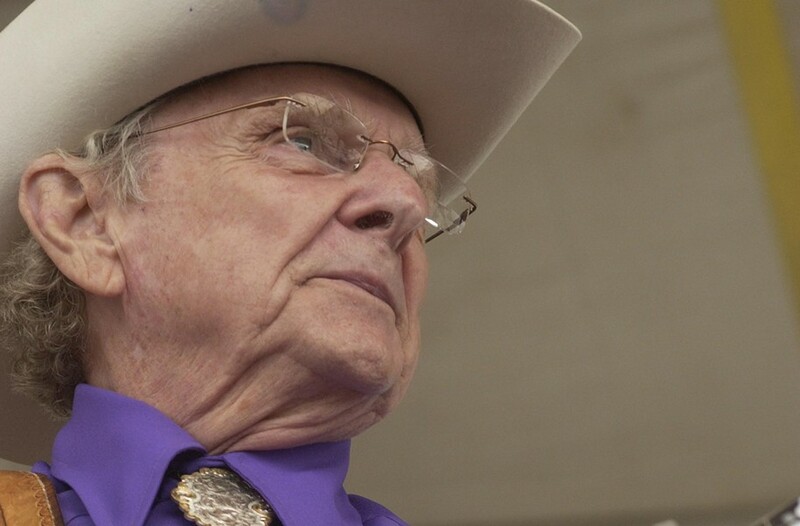 Ralph Stanley | 2012 Folk Fest Guide | Style Weekly - Richmond, VA local news, arts, and events. To call Ralph Stanley an American music legend is an understatement. Along with his brother, Carter, the Virginia native is one of the founding fathers of bluegrass and has performed on more than 170 recordings in his 85 years. Legions of younger fans came to know him through his contribution to the 2000 "O Brother, Where Art Thou?" soundtrack: his haunting rendition of "O Death," a performance that snagged Stanley the first and only Grammy of his career. But accolades don't fuel Stanley's endeavors. Rather, it's the music of his Clinch Mountain soul, its people and culture. "For me, what has always been the profound power of Ralph Stanley is the degree to which he has incorporated into bluegrass those mountain sounds from his home place, that not only represents him as an individual, but the whole community and place," says Julia Olin, executive director of the National Council for the Traditional Arts. Raised in a hollow in Southwestern Virginia, the Stanley brothers learned traditional ballads, hymns and banjo-picking from their mother. They took that gift on the road for more than 20 years as the Stanley Brothers, playing alongside the Clinch Mountain Boys. After Carter died in 1966, Ralph continued playing his brand of bluegrass all over the world. His banjo playing technique became known as Stanley style, marked by quick forward rolls. "Bluegrass grew out of older forms of music and in the 1940s began to be internationally popular," Olin says. "While it's not a commercial form, in terms of pop-music visibility, it's retained a really loyal following," she adds. "That enduring quality that Ralph brought to the music has always made his music distinctive." Stanley will play two unique sets at this year's Richmond Folk Festival. He'll find familiar company with the Clinch Mountain Boys and meet up with lifelong friends Joe Wilson and Frank Newsome for a very special performance on the Virginia Folklife Stage. All three Virginians (plus Alexandria resident Flory Jagoda, a Sephardic singer who's also performing at the festival) are winners of National Heritage Fellowships, the highest honor the American government can bestow upon a traditional artist. Stanley well deserves the honor, in Olin's eyes. "He has one of the most powerful voices in American music. You can hear one note and I bet you know it's Ralph Stanley," she says. "It's got that unmistakable stamp of a very distinct place. That's the beauty of Ralph and traditional music. It isn't cookie-cutter. It carries the experience of people who make it over generations." "The Ralph Stanley Story" will show at 10:30 a.m. Sunday at the National Park Service's Civil War Visitors Center.